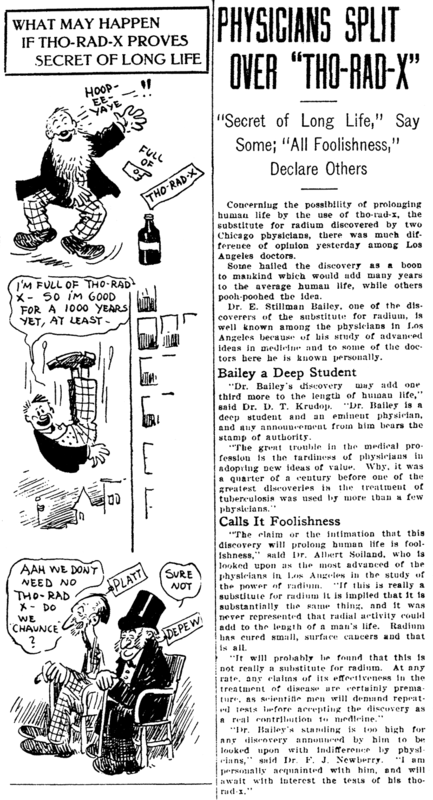 March 1 1909 -- In case you're wondering if Dr. E. Stillman Bailey had really found a miracle substance in "tho-rad-x", which supposedly had the beneficial properties of radium without any of the harmful effects, he presented his discovery at a convention of the Southwest Homeopathic Association. Need I continue? Stories of desperadoism found ready hospitality in the Kansas City newspapers. Here was a market for some of the stirring tales Jacobo Coy had recounted to me in San Antonio. The Kansas City Times accepted the first one offered. It was Coy’s version of the two spectacular tragedies through which he had gone with Ben Thompson. The Irons interview in the Journal and the Ben Thompson story in the Times paved the way to a regular job on the Kansas City Star. Ralph Stout was city editor. The temptation to continue work under his direction almost disrupted my itinerary. His brilliance as a news technician ultimately earned for him the editorial chieftaincy of the Star. He would have been an outstanding giant in broader fields. Stout was that rare city editor who invested local items with universal significance. News, under his treatment, pushed back the boundaries of his community until they touched a world’s intelligence. Provincialism had no place in his lexicon of editorship. Only the recollection that I had not yet penetrated the North tore me from Stout’s staff. The Mason and Dixon line must be passed to reach Yankeeland. That lay beyond Missouri. It seemed unfair to withhold from other newspapers the articles which the Journal and the Times had considered worth buying in Kansas City. So, at my next stop—St. Louis—refurbished and rearranged, they were offered for sale. The St. Louis Chronicle, a link in the Scripps-McRae chain of dailies, bought the Martin Irons statement. The Chronicle was a liberal paper. It catered to union-labor readers. The editor considered $12 a fair price for the story. The Globe-Democrat paid $8 for the Ben Thompson thriller. The sale of the same material for publication in different cities is the basis of newspaper syndication. So, without realization of the fact, I had entered the syndicate field, the department of journalism which twenty years later was to engage my entire attention. The swift-moving Pullman strike and the World’s Fair in Chicago hastened my course to that city. Again my ready-to-print wares were offered. Both stories were purchased by the Chicago News. But that was not until Charles M. Faye, the managing editor, had handed me a jolt. It was a primer lesson in newspaper syndication. He wanted a day in which to ascertain “whether the matter was available from other sources.” It was my first notice of the need for copyright protection of matter to be vended for publication. Nobody explained why the Chicago News decided to pay me for what it could have taken without cost from the Kansas City and St. Louis newspapers. It did not seem proper for me to complain. Any demurrer might have embarrassed a negligent exchange editor. A position on the Chicago Times was obtained with astonishing ease. Richard Linthicum was managing editor. Mention of W. A. Stinchcomb as my first newspaper employer clinched a job. Stinchcomb and Linthicum had been warm friends for years. The cordiality of that friendship, however, did not explain the nature of my assignment. Linthicum installed me as a copyreader. The work, usually allotted to seasoned journalists, was performed at a circular desk over which a chief presided. The Times copyreading staff numbered six members in addition to myself. None of them was under forty-five. Two were in their sixties. Little effort was made to conceal the affront my intrusion inflicted. With me had come the inexcusable offense of contrasting youth. The irritation it engendered was not only understandable; it was warranted. These men were veterans. They had been chosen for their tasks because of capabilities proved through years of experience. Now they were galled by abrupt subjection to parity with a beardless boy. This was the first—and happily it proved the last—time that friction with fellow workers resulted from the disparity in our ages. Hitherto, the variance was individual. Here it had massed effect. It was a valid assumption that a copyreader possessed a mental equipment that qualified him to correct and improve the manuscripts passing through his hands. It was necessary for me to sustain that premise. Six pairs of ears impatiently awaited questions that might betray a damning deficiency. Never was my tongue under tighter rein. Three months would be ample to test my competence. During that period my first job of copyreading would not be sacrificed by any oral misadventure. There was plenty of conversation between my colleagues away from the desk. But at work, or in my presence, a tense muteness prevailed. No word was addressed to me except by the chief. His remarks were confined strictly to the work in hand. So came about my introduction into the most unusual coterie it has been my lot to meet. The Whitechapel Club was sui generis. Its membership and habitués included names that have passed through the favor of countless households into permanent niches in the gallery of American literature and art. The colorful legends that surround its annals fall disappointingly short of the actualities. It was the quintessence of Bohemianism. It was a Rabelaisian parade of pagan genius. Surpassing talents, in volume enough to light a city’s press with incandescent brilliance, were squandered nightly in intellectual escapades. Originality formed the sole claim to an audience. The volume of its applause was usually proportioned to its content of impiety and contumacy. Fitting quarters for this impish society of journalists were maintained in Calhoun Place or “Gamblers’ Alley” between Washington and Madison Streets in the heart of Chicago’s Loop. For six years Koster’s saloon was the regular meeting-place. Then, in 1892, the club moved to its own premises a few doors away. The only entrance was through a basement doorway. Above it rested a stained-glass window with the inscription, boldly lettered, “Abandon hope, all ye who enter here.” Inside was a long room, designed to achieve the same pleasantness of effect sought by Madame Tussaud in her Chamber of Horrors. Eerie illumination was supplied by gas jets encased in human skulls. Each eye socket was fitted with colored glass through which tinted rays issued. For the cheerful convenience of smokers, there was an abundance of ash receivers. They were brain pans that had been sawed out of the skulls which lined the walls. There were numerous mural decorations. Each told a story. They were mementoes of shocking homicides, hangmen’s ropes, bloodstained blankets, knives, blackjacks and firearms. Conspicuously displayed was the sword of a Knight Templar of the Masonic fraternity. The steel blade had been turned against its owner in a Louisville murder. The single room upstairs was equally edifying. In the center stood a table. It was a replica of the coffin of a notorious underworld boss. For some unexplained reason, the top was studded with brass nails. Above it, suspended from a bronze chain, dangled the piece de resistance of the upper floor. It was the well-preserved skull of Waterford Jane. Before her departure from worldly relationships was hastened by abrupt violence, she had been known as “The Queen of the Sands.” The Sands was a hectic section north of Chicago Avenue reserved for reckless playmates of the night. The club’s name was derived from the Whitechapel slum district of London. 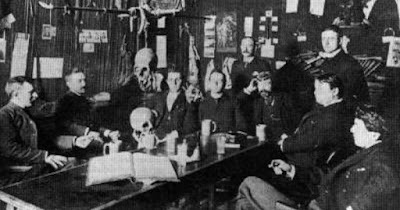 A series of Jack-the-Ripper murders there coincided with the Chicago fraternity’s inception. The thirty-two founders originally restricted membership to newspaper writers and artists. But the bars were dropped for a few distinguished laymen. So, United States Senator Chauncey M. Depew, famous as an after-dinner speaker, and Alexander Herman (“Herman the Great”), the premier prestidigitateur of his time, became full-fledged members. On the charter list were Brand Whitlock, who afterward moved from a correspondent’s job on the Chicago Herald to literary eminence and a political career that embraced the United States Ambassadorship to Belgium; Opie Read, author of more than a hundred novels, among them The ]ucklins, A Kentucky Colonel and A Tennessee Judge, and who wrote fully thirty of his best sellers in settlement of poker debts averaging less than $75; Peter Finley Dunne, creator of the inimitable “Mr. Dooley,” whose popularity as a newspaper feature reached a scale untouched through more than a quarter of a century by any other letterpress humorist; Alfred Henry Lewis, whose fame as a Washington correspondent was matched by his success with piquant stories of the West; Frederick Upham Adams, who divided his talents between important inventions and equally important books; and Tom Powers and Horace Taylor, whose contributions to comic art won them nationwide recognition. Some of the guest attendants were equally as helpful to the Whitechapel Club’s unique hilarity as the formally enrolled membership. Among them were George Ade, whose triumphs in satiric humor and as a playwright became household legends; George Barr McCutcheon, acclaimed for his Graustark and Brewster’s Millions; his brother, John T. McCutcheon, whose cartoons have taken on the complexion of a national institution; Eugene Field, whose faculty for the writing of classic poems of childhood was exceeded only by his facility with unpublishable doggerel; Emerson Hough, who wrote The Covered Wagon and The Mississippi Bubble; and Stanley Waterloo and Ernest McGaffey, the verses of each of whom are treasured in numberless American homes. The last four syllables of the final line varied with the vocalist’s choice. The common version was irreverent enough to abash the most hardened sinner. The license for an optional phrasing was an incentive to out-Herod Herod. The scene was intensely masculine. But it was a masculinity that plied a lancet in one’s conscience. Here were gathered some of the brightest journalistic minds in the Middle West. To what abuses were these splendid brains subjected? Were tipple and blasphemy their favorite toys? My father’s violent disapproval of newspapermen came to mind. “Association with them will land you in the gutter,” he had said. The same reasoning that overcame my father’s dictum that newspapermen were drunkards now fortified my rejection of Opie Read’s specious theory. Instead of a forfeit, the captaincy of one’s appetites and indulgences was an essential to success in newspaperdom. Self-mastery rested with the person, not the profession. My rate of earning had been considerably advanced on the Chicago Times. Copyreaders were then paid from $25 to $35 a week. Of course, I got the minimum. The same salary was assured in my next job. It was offered by Austin Rice, city editor of the Pittsburgh Times. A letter from Rice, inquiring for available reporters, had been turned over to me by Hollis Field, a former San Antonian at the moment on the editorial staff of the Chicago Daily News. Shortly after my arrival in Pittsburgh, the Grand Army of the Republic gathered there in annual reunion. On the day of the big parade, the Times issued a special edition. A chalkplate drawing was made to splash across the first page. C. W. Danziger, the managing editor, ordered a whoop-’em-up description of the Grand Army pageant to accompany the unusual illustration. The first copy submitted was unsatisfactorily stiff. An editorial conference decided to “let that breezy lad from Texas take a whirl at it.” Sixteen years later, the yarn bobbed up in an important newspaper deal. As New York grew nearer, it acted like a lodestone pulling me onward to the center of journalism. In the largest city of America must be found the greatest editors of the nation. That should be a newspaperman’s final goal. My term in Pittsburgh was curtailed for a sampling of journalistic work in the national capital, and then the jump to Park Row. “Don’t let old Gotham get you down with buck ague,” had been Opie Read’s parting advice. The caution against the species of jitters generally associated with a hunter’s first glimpse of a stag through rifle sights, was a pregnant analogy. Its real significance came when New York was no longer new to me. Aladdin would have been a boresome companion on the ferryboat that carried me across the Hudson. What had his lamp to offer compared to the wonders that could be wrought with one’s own hands in the magic city yonder? It was an Indian summer afternoon in 1894. A haze, gilded by the setting sun, shimmered behind Manhattan’s sky line. It was a golden augury. Within a week all the gilt had vanished. Much of it was replaced with dross. New York was a community of strangers—strangers to me and strangers in the main, it seemed, to each other. It was impossible to obtain an audience with a city editor. Repeated calls, every day at every newspaper office, were in vain. Several times admittance was gained by different ruses. Instead of a momentary indulgence or tolerance of these shows of resourcefulness, there was rough displeasure. After a while, it became apparent that here a journalist of my type could not “break” in. He required introduction. This was wholly unlike my experience in any other city. Confidence didn’t disappear, but now and then it lagged behind a bit. Soon a series of compensating emotions set up a defense against the rebuffs the newcomer encountered. It began with the amusement provided by an absurd incident at the Herald office. The reception clerk engaged me in a prolonged dicker. By gradual stages he scaled down my request for an audience with the chief executive to a talk in the lobby with a second assistant city editor. A form was finally filled out stating my name and home address and the purpose of my call. Five minutes later, the space around me in the mezzanine gallery of the Herald building was buzzing with a curious crowd. They behaved like spectators viewing a freak in a circus sideshow. They questioned me spiritedly. An office boy was responsible. He had passed around the word that a wild Texan was in the hall. Most of the queries tossed at me concerned the private life of Geronimo, the Apache warrior. Eight years before, after his surrender to General Miles in Arizona, Geronimo had been held in detention for a few weeks in San Antonio. My interlocutors were astonished to learn that the chief was not a leading citizen of my home town. My answers to other inquiries seemed similarly disappointing. A press foreman in greasy overalls, with a wrench in his hand, wanted to settle a problem that had long worried him. He didn’t explain its personal importance. “If a man lives after he has been scalped,” he asked, “does his hair grow back?” It had not been my fortune to meet such a survivor. Kindred episodes added testimony of New York’s isolation. The national metropolis lay many thousands of miles farther from the hinterland than the maps showed. The paradox only emphasized the stern realities. Unless a newspaper job were immediately forthcoming, a temporary livelihood must be found in other fields. Stark necessity was in the saddle. In the most dismal hour that had yet befallen me, a friendly face appeared. William Ransom, seated on a stand in Nassau Street, was having his shoes shined. Ransom had once been city editor of the San Antonio Express. We had never met. But his strongly marked countenance was unforgettable to the boy who had looked upon every journalist he saw as a character apart from all other men. It seemed too good to believe that he remembered me. It has always been my feeling that the recognition was a fabrication of his generous soul. At all events, he became my benefactor. 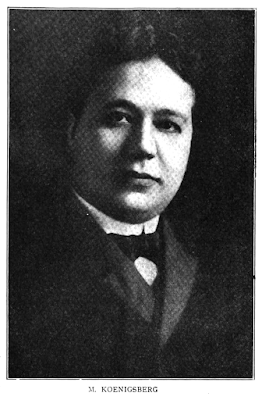 Ransom was night city editor of the Charles A. O’Rourke News Bureau at 6 Murray Street. A note from him to the day manager put me on the assignment list the next morning. Of course, it was up to me to qualify for the work. The bureau was the predecessor of the City News Association of later years. It served a score of clients. Among them were the Associated Press and all the daily members of that organization in Manhattan and Brooklyn. Its copy consisted of yellow flimsy. The writer pressed a stylus through twenty-five sheets of tissue paper and twenty-four layers of carbon against a metal back. Considerable physical exertion was necessary for the production of legible copy. My initial assignment was a garment workers’ strike meeting. The head office boy, three years my senior, had a quick sympathy. He lent me twenty cents for carfare without a word. There were two days’ work in one. The compensation for eight hours from 7 a.m. to 3 p.m. was $2.50. The tour between 7 p.m. and 3 a.m. paid $2.25. Comfortable quarters and palatable meals were obtained at the Smith & McNeil hotel with entrances on Washington and Greenwich Streets. The room cost $3.50 weekly. The restaurant, which claimed to be the largest in the world, served a seven course “dinner de luxe” for 55 cents. The average patron contented himself with a meal that cost 15 or 20 cents less. Within six months it was my lot to cover every regular night assignment in Manhattan for a week or more at a time. The south-side police run was the most trying. The conviction grew upon me that it included the coldest spot inside an inhabited area in America. It was the stretch between Pier A and Old Slip Police Station. Forty years of subsequent observation failed to alter that judgment. A fortunate opportunity relieved me of the south side and all other undesirable night beats. The Lexow investigation was at full tilt. New York was in the middle of its strangest muddle. Rev. Dr. Charles H. Parkhurst’s crusade against vice had grabbed the city by its ears. Cesspools of sin and crime had been dug up and tossed into the air. The dregs splattered in every direction. Thugs, prostitutes, gamblers, felons and crooks of every category suddenly found themselves among new neighbors. It was a period of social surprises. The police department, under the most searching arraignment in its history, moved in a daze. The climax was reached on the day that Timothy J. Creeden confessed before the Lexow committee that he had paid $15,000 for an appointment to a police captaincy. The Associated Press ordered from the O’Rourke News Bureau a special story of the day’s proceedings to run up to 4,000 words. That was quite a stunt for the little agency at 6 Murray Street. Ransom gave me the assignment. He advised me to “spread” myself. The copy was served sheet by sheet. When 1,800 words had been delivered, Opperman, night manager of the Associated Press, telephoned Ransom. He needed no more of the yarn. It had been told in such completeness that further details were unnecessary. Opperman made some more comments, the precise verbiage of which never reached me. Ransom was too excited for recitation. A mystic by nature and an ardent student of metaphysics, he was ordinarily given to a gentle reserve. That night he danced a jig. “This is the best thing that has happened to O’Rourke’s in months!” he actually shouted. Whatever it was that so greatly elated Ransom, it brought me a bonus. No cash was available for the purpose. O’Rourke’s was in a bad way financially. It was in arrears on salaries. But it was my privilege to choose any reward that would not entail added expense. My choice was the regular assignment to the Tenderloin district. No hankering for the effulgent night lights or their concomitant fleshpots prompted my selection. Several serious considerations guided me. Covering the Tenderloin yielded major gains. Above all, it meant sustained contact with people in the upper brackets of personality. It meant cultural advantages accruable from elevating companionships. It meant entree to theatres and the moving brilliance of premiere performances. It offered propinquity to America’s entertainment silo—the great storehouse in which public favor generated the chlorophyll to keep fresh the brains and talents for a nation’s diversion. Rubbing elbows with celebrity became a craftsman’s chore. It straightened the reporter’s perspective of the verities. It accustomed him to quick evaluation of the glamor and enamel of ephemeral fame. At the same time, it made possible the enrolment of friends and acquaintances of inestimable usefulness to a news-gatherer. Always the Tenderloin was a panorama of the artifices—a postgraduate course in the study of sophistication. It kept alive the unsolved puzzle of Broadway, the enigma of that Pandora’s box in which hope never ceased to sparkle. In the spring of 1895 came the urge for another inventory of my professional status. The Tenderloin had been masticated. Its juices no longer stimulated a sense of progress. New York journalism had disgorged a complete stock of reportorial experience. It had been an invaluable training to work shoulder to shoulder with veteran stars of the metropolis. My tours of duty with Ike White and Deacon Terry would alone fill a portfolio of admirable instruction. They were the newspaper “crime sharks” of Gotham. One of White’s exploits followed an attempt in 1891 to kill the multimillionaire, Russell Sage. The would-be assassin was blown to bits. A widespread anxiety attended the efforts to identify him and to establish the motive for the crime. The police were baffled. Ike was then on the staff of the New York World. He picked up a shred of cloth smaller than the trousers button to which it clung. With that tiny clue, after weeks of toil, singlehanded he effected a complete solution of the case. Journalism was in a state of flux. The publisher surrounded every phase of his operations with rigid secrecy. He maintained the proverbial alienship of his hands. The editorial personnel were little more conversant with his business policies than were outsiders. Fear of competitive coups was the chief reason for this covert regime. Uncertainty as to the immediate future was a companion cause. Mechanical inventions and developments were at hand, presaging radical changes in the publishing field. Within the ensuing decade they transformed journalism from a professional service into a complicated manufacturing business. There was no precursor of this impending revolution definite enough to distract attention from my present outlook. The milk in the New York coconut had been drained. The husk was not to my liking. The prevalent system of specialization sealed the doors to tutelage in those divisions of newspapermaking that were to complete my training. Moreover, the New York dailies offered less by way of inspiration than some of their western contemporaries. The galaxy of metropolitan editors had dwindled into a fading nebula. Only two remained outstanding—Joseph Pulitzer of the World, and Charles A. Dana of the Sun. Pulitzer already had become a remote entity. Dana, the incomparable stylist, had made the Sun into something of a personal organ. Its quizzical atmosphere suggested a select club more than an open forum. It might be the best-written newspaper in the country, but it presented the journalism of Charles A. Dana, rather than the journalism of America. West of the Alleghanies lay a wide variety of journalistic leadership. Newspaper trails, inseparable from the newly made history of their region, were being blazed by such masters as Joseph B. McCullagh, with the St. Louis Globe-Democrat; Ed Rosewater, with the Omaha Bee; Joseph Medill, with the Chicago Tribune; John R. McLean, with the Cincinnati Enquirer and Henry Watterson, with the Louisville Courier-]ournal. It was not too late to note Horace Greeley’s advice to go West. No arrogance entered into my adverse criticisms of New York dailies. Nor was there any conceit of discovery in the detection of their faults. Basic precepts indicated their inadequacies. These metropolitan journals flouted the fundamental yardsticks for the measurement of news values. They were more parochial than most backwoods newspapers were provincial. They did display European news. That emphasized the importance of the port of New York. But events west of the Hudson River, except for politics and sports, were sharply discounted if not ignored. It might have been said, with much more point than triteness, that for the New York news editor the sun rose over Fire Island and set on the New Jersey palisades. The persistence and pervasiveness of this view throughout Manhattan newspaperdom led to an historic chapter in American journalism. It held open the door of opportunity for one of the greatest achievements in the publishing domain. The New York Times was in a precarious state of hastening decrepitude when Adolph S. Ochs took over its control. He assumed the reins in 1896. Unostentatiously, but with unremitting vigor, he applied to the paper the elemental principles of institutional journalism. He made a newspaper that pulsed with responsibility to its readers and to its obligations in their behalf. He employed the same methods he had found successful with the Times in the little Tennessee city of Chattanooga. For several years his progress was so gradual that it almost escaped competitive notice. No factor of this growth was more substantial than the Times’s telegraphic news reports. Ochs intensified attention on the collection of intelligence from all parts of the country. Visitors to New York discovered that the daily on which they could most safely rely for fresh tidings from their home territory was the Times. Most of these visitors came to buy things. They constituted one of the vital forces in New York’s activities. The Times inaugurated departments of special service for them and for the New York circles interested in them. As always, the alert seller studied the buyers’ judgments. He readily adopted his customers’ preference for the Times. It is idle to estimate the extent of Mr. Ochs’s indebtedness to his competitors for their delinquencies. They did make possible the strongest impetus to the early advancement of his newspaper. But it is probable that even under other circumstances his unswerving integrity of purpose, coupled with his wealth of prescient talents, would have carried the New York Times to the unrivaled pinnacle that it attained. A decade later, the comforting realization came that Mr. Ochs’s success had vindicated my judgment. It confirmed the validity of my reasons for seeking journalistic opportunities more favorable than the New York of 1895 vouchsafed. A year intervened between my return to the West and Mr. Ochs’s advent in the East. Walter Christy Walsh was born in St. Louis, Missouri, on December 2, 1891, according to his world War I draft card. His full name was on the card and at the California Death Index at Ancestry.com. In the 1900 U.S. Federal Census, Walsh was the oldest of four children born to Walter and Marie. His father, a Canadian emigrant, was a traveling salesman. The family resided in San Francisco, California at 1333 Broadway. According to the 1910 census, the Walsh family were residents of Los Angeles, California at 1795 Twenty-Fourth Street. Walsh’s father was a salesman of mining equipment. Walsh was profiled in The Fourth Estate, October 7, 1916. Christy Walsh, the new Pacific Coast representative of the Chalmers Motor Company, with offices in San Francisco, is a lawyer by education, a newspaper and advertising man by experience and a cartoonist whenever occasion demands. He is twenty-four years old and entered newspaper work five years ago as a cartoonist and reporter, meanwhile devoting himself to the study of law. 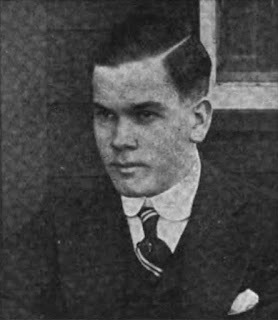 As a result of the latter efforts, he was admitted to the California bar after graduating from the University of Southern California in January, 1915. Law did not attract him at that time, however, and he became advertising manager for Greer, Robbins & Co., automobile dealers of Los Angeles, resigning this summer to become correspondent of the Los Angeles Herald at the United States Military Training Camp, Monterey, Cal. Information about Walsh’s art training has not been found. On June 5, 1917, Walsh signed his World War I draft card. He was married and lived in San Francisco at 805 Lake. Walsh was the advertising manager at Chalmers. He was described as tall, medium build with brown eyes and hair. A short time later, Walsh moved to New York City. The Los Angeles Evening Herald, August 30, 1918, published this item. By the way, another most attractive girl, formerly Miss Madeline Soudan, is at Jacksonvile [sic], learning how to be an officer’s wife, as Christy Walsh, her husband, has been in the training camp there for the past two months. About four months later, the Evening Herald reported Walsh’s visit. Mr. and Mrs. Christy Walsh, the latter being formerly Miss Madeline Souden, are to arrive in Los Angeles on Monday and plan to spend the holidays with Mr. and Mrs. Oscar Souden. Mr. Walsh has been in the service for the past year to more, and some of his clever articles on camp life—the training of the youngAmerican idea how to shoot Germans—will be remembered by readers of The Evening Herald. A number of pleasant affairs are planned in their honor. Walsh was an Evening Herald sports cartoonist. Editor and Publisher, March 19, 1921, reported Walsh’s new business. The Christy Walsh Syndicate. has been established in New York with offices at 50 East 42d street, headed by Christy Walsh, former newspaper and advertising agency writer. After getting a start in newspaper work on the Los Angeles Herald as a reporter and as correspondent for a string of newspapers. he left California for Detroit. where he became publicity director and house organ editor of the Maxwell-Chalmers Automobile Company. Since 1917 he has been with the Van Patten Agency in New York. He has also gained some reputation as a cartoonist. A similar report appeared in the Fourth Estate, March 19, 1921. 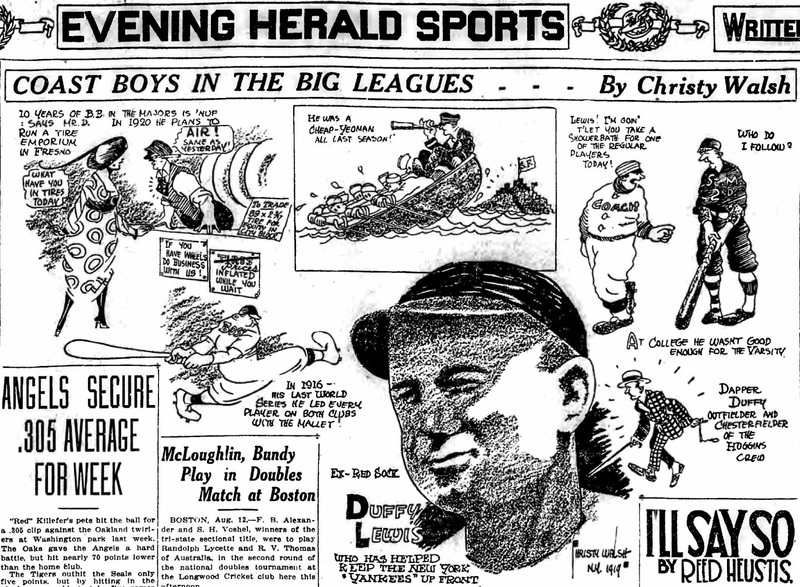 American Newspaper Comics (2012) said Walsh drew the panel, Rightfield Follies, from April 13 to May 20, 1921. It appeared in the Brooklyn Daily Eagle. Four panels had contributions from the readers on April 23, April 24, May 7, and May 17. Walsh has not been found in the 1920 census. 1925 New York state census listed writer Walsh, his wife, Mary, and sons, James and Walter. They resided in Brooklyn at 118 Second Place. Aboard the S.S. Transylvania, Walsh, his wife and youngest son, Walter Jr., departed Glasgow, Scotland, on August 25, 1928. They arrived in New York on September 2. Their home was in Los Angeles at 1222 North Bronson. Apparently oldest son, James, passed away. In 1930, newspaper syndicate manager Walsh and his family were in the household of his father-in-law, Oscar M. Souden, a banker, who employed three servants. Their address in Los Angeles was 2190 Ponet Drive. The Walsh family visited Bermuda in 1930. The passenger list recorded their return to New York on July 14 and home address as 54 Riverside Drive, New York City. Walsh and his family sailed from Los Angeles, June 29, 1934, and landed in New York City, July 16. Their West Coast address was 2244 North Edgemont, Los Angeles. Walsh’s marriage ended in divorce. A brief article appeared in the New York Sun, March 21, 1935. Los Angeles. March 21 (U.P. ).—Walter Christy Walsh, sports writer and promoter, was too critical, Mrs. Madaline Walsh charged in a divorce suit on file here today. The complaint said a property settlement had been made and an agreement effected concerning custody of their eight-year-old son, Walter Christy Walsh Jr.
One of Walsh’s clients was Babe Ruth. A photograph of Walsh, Captain Eddie Rickenbacker, Don Budge, and Ruth appeared in the Brooklyn Eagle, May 2, 1939. The 1940 census said newspaper executive Walsh lived alone in Manhattan, New York City at 405 West 23 Street. Walsh signed his World War II draft card on April 25, 1942. The Los Angeles resident was at 741 1/2 South Burnside Avenue. He stood five feet eleven-and-a-half inches, weighed 165 pounds, with brown eyes and black hair. Walsh passed away December 29, 1955, at his home in North Hollywood, California. His death was reported the following day in the New York Times and other papers. Walsh was laid to rest at Calvary Cemetery. Bud Sagendorf may only be my third favorite creator of the Popeye comic strip Thimble Theatre, but that still puts him in heady company (E.C. Segar and Bobby London come in at #1 and #2, for the record). 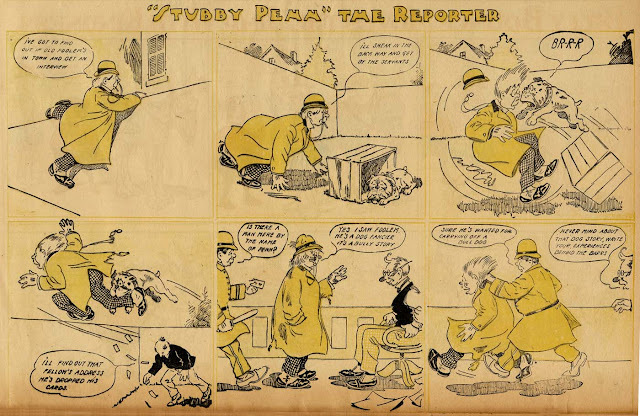 He really knew how to channel the Segar way of writing, and his drawing was sort of a scrubbed-up version of Segar's down-and-dirty bigfoot cartooning style. I dare say that if you showed the average man or woman on the street a Popeye drawn by any of the strip's creators, Sagendorf's would be chosen as the iconic one. It only makes sense that Sagendorf was a natural on Popeye, since Segar employed the young cartoonist as an assistant in his studio. When Segar got sick, I'm guessing the only reason Sagendorf was not chosen as his successor was because he was so darn young (about 22) that he wasn't taken seriously as ready for the big time on such a valuable property. Sagendorf was instead employed by King Features as the cartoonist in charge of many Popeye licensed products, and eventually became the main artist and writer of the Popeye comic books. It wasn't until 20 years after Segar's death that Sagendorf finally was assigned to the newspaper comic strip. In the interim, Sagendorf did manage to create his own newspaper strip, a fun little wacky fantasy about a fellow who runs his own railroad. The strip was well-written, full of slapstick and bizarre situations, following directly in the footsteps of Segar. Spur Line, however, was doomed from the start. Sagendorf signed on with the Associated Press to produce the strip, and their comic strip syndicate division was running on fumes by 1954, when Spur Line debuted. AP's strips were folding at a constant clip, fueled by creators who couldn't afford ink for their brushes, much less feed a family, with the pittance they were making. Spur Line debuted as a daily-only strip on February 15 1954, and came to the end of the tracks on April 2 1955. The feature appeared in very few papers -- not many of those dogged few newspapers still taking the AP feature service made room for the strip. That's at least partially because Spur Line doesn't seem to have been a 'drop in' replacement for another AP strip that was being cancelled. That was the normal way AP dealt with ending strips, and made it simple for subscribing newpapers who didn't have to have to redesign their feature page -- one goes out, one goes in. For Spur Line, papers would have had to make room or drop some other strip. For more on Spur Line and a longer run of strips (including the introductory week), see this post at Ger Appeldoorn's Fabulous Fifties. PS: If the above strip samples seem to be missing something, it's because the newspaper I scanned these from, in a fit of pointless fiddling, scratched out the syndicate stamps, the dates, and Sagendorf's signature in each one. Sigh. Maybe not probably but possibly inspired by the comic strip: the TV sitcom "Petticoat Junction". A major feature of that show was an officially abandoned spur line, separated from the main railroad but kept in operation by a retired engineer and fireman using an ancient engine. Every so often the crusty troubleshooter from the main railroad would try to close it down. John R. Bray went on to become an important pioneer in the animated film industry, but we must all start somewhere. 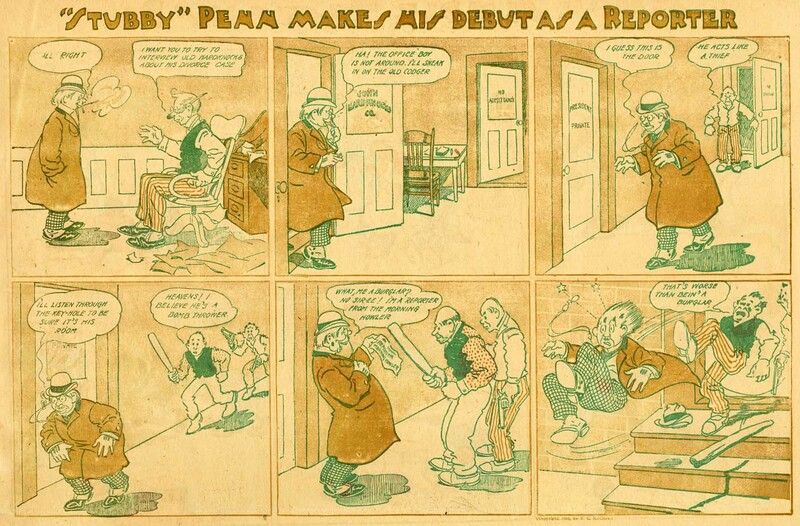 For Bray, one of his earliest cartooning jobs was with the McClure Syndicate, and for them he produced his first comic strip series -- all two episodes of it. Presented here in its entirety! 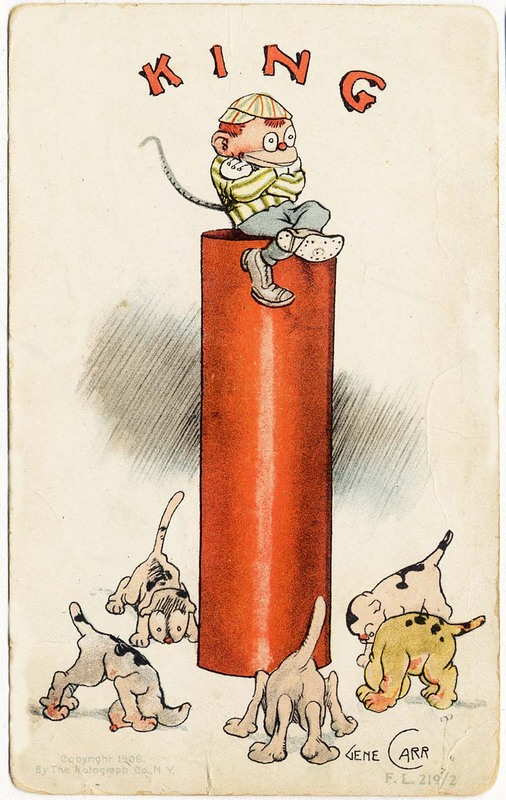 The two episodes of Stubby Penn the Reporter appeared on February 19 and 26 1905. They appeared in the T.C. McClure copyrighted version of their section. Bray wouldn't manage another series until June of that year, but that time he'd be in for the moderately long haul, producing a whole year's worth of Stuttering Sammy strips for the same syndicate.